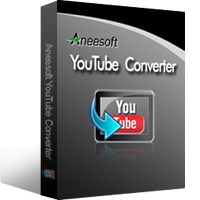 Aneesoft YouTube Converter allows you to batch download online videos from YouTube, Metacafe, Blip, Break, Bing video sites. …. enables you to convert online videos to the video format or audio format as you wish, such as convert YouTube videos to AVI, MP4, WMV, MPEG, MP3 etc. and also convert local video formats FLV, F4V, MP4, WEBM to any common video format and audio format. Many Streaming Media Sites are Supported – YouTube, Metacafe, Blip, Break, Bing. Batch download online videos are allowed. You need to do is just to copy-n-paste multiple video URLs into Aneesoft YouTube Converter. You can customize the downloaded video quality to HD 720P, HD 1080P, High Definition, Medium Definition etc. You can convert downloaded videos and even videos stored in your PC to common video and audio formats using Aneesoft YouTube Converter. You can set the Profile, Codec, Resolution, Bitrate, Sample Rate, Channel for the output file. Download and conversion speed is fast. Aneesoft YouTube Converter costs $24.95 for a lifetime license. An evaluation version is available. Bitsdujour is offering Aneesoft YouTube Converter free for a limited time. Click on the Green Get It For Free button, enter your name and email address in the newly opened page under Registration Information and click on the green Complete Checkout button. You will soon receive a mail from notify[at]bitsdujour.com with the license information.